Bivouac style hunting gained traction for me about 17 years ago. I was drawn to the fact that a bivy sack offered an extremely lightweight simple option to stay dry while spiking out in the backcountry. Since then, I have continued to use a bivy for almost all of my overnight hunts despite the fact that there are some good lightweight tent options. I understand the drawbacks, but a bivy sack is a compelling shelter option that I believe more people should consider. I’m convinced that using a bivy has made me a more successful run and gun elk hunter. So what exactly is a bivy sack? A bivy sack is a simple one-man waterproof shelter. 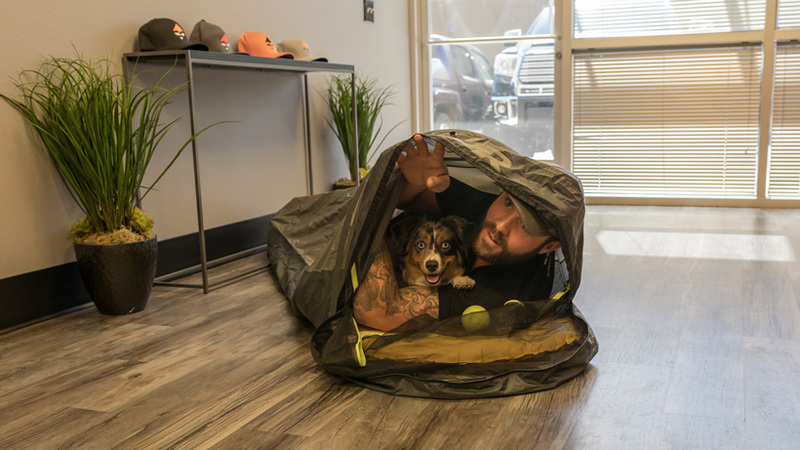 As the name implies, it’s basically a sack that you slide your sleeping bag into and is designed to keep you and your bag out of the elements while you’re sleeping. Bivys were originally used as a minimalist shelter by thru-hikers and climbers on multi-day trips. Some bivys are only a waterproof sack while others have pole(s) to keep the fabric up off of your face and head. There are several bivys out there. We carry two of the very best bivy sacks in our goHUNT Gear Shop: the Outdoor Research Alpine and Helium. So why use a bivy sack over a tent when hunting? The major advantage of any bivy over a tent is the ability to quickly set it up. It can be placed in areas where you may not be able to pitch a tent; for example, a deer or elk bed on a steep slope will work if you need it to. You really only need a flat spot about 6’ x 2’. A bivy is extremely mobile. In the evening, you are in bed in a matter of minutes and can be packed and ready to go just as quickly in the morning. Setting up a bivy takes much less time than a tent. They are waterproof so they make a nice addition when using a floorless shelter and stove (no need for a tent footprint). They are lightweight. The Outdoor Research Helium bivy weighs in at 17 oz and the Alpine bivy is 2 lbs. 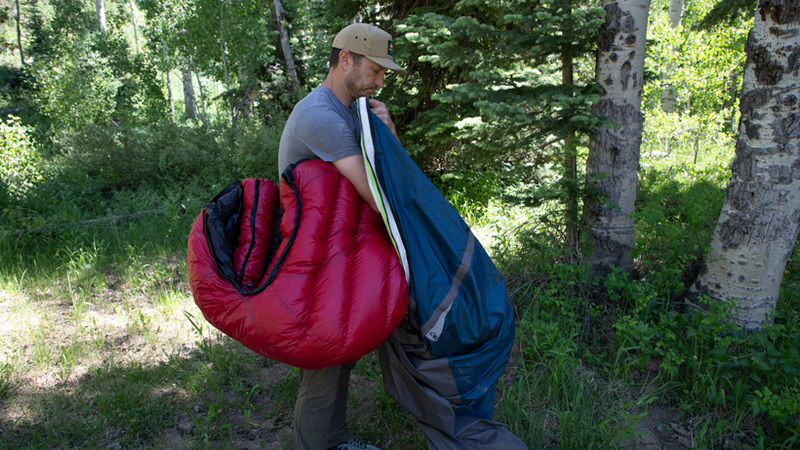 The biggest benefit to bivy sack hunting is that it allows you to be extremely mobile. Some people find them claustrophobic, especially when the lid is closed. You cannot get dressed in one and the headroom above your face even with a pole/hoop feature is minimal. There is maybe enough to read a book inside one, but just barely. Riding out multiple days of bad weather like… rain or… snow… is not recommended. It can be tough. If you expect multiple days of bad weather, pair a bivy with a tarp or floorless tipi/tent. Condensation can be an issue in the right conditions and you may have a damp sleeping bag near the footbox when you wake up. This requires you to hang your bag midday to air it out—provided you can. You may spend a day or two with a damp sleeping bag near your feet. Bugs, snakes and small animals could also be an issue if you don’t sleep with it zipped up although, in the many years I have used one, I have never had an issue and, on most nights, I sleep with my head out under the stars. Roughly, how big are bivy sacks? The dimensions are the same for the Alpine and Helium bivy sacks: 26" maximum width x 84" maximum length x 20" maximum headroom. Floor space is 12.6 sq. ft. for both. 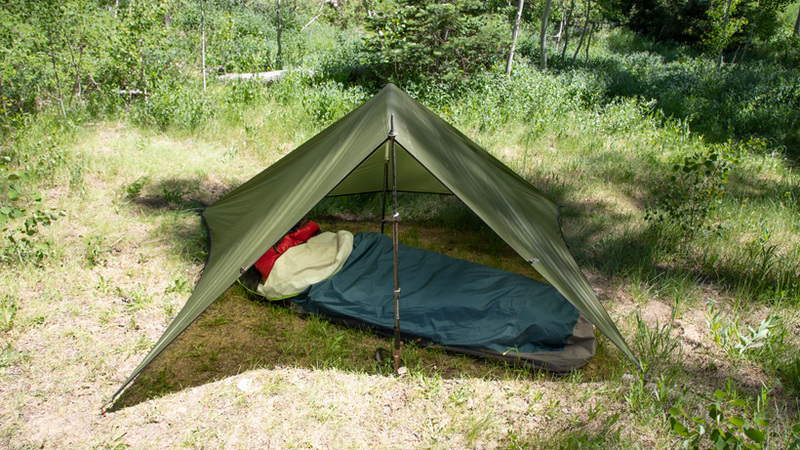 The two Outdoor Research models we carry are among the roomiest bivys out there. Both will allow you to sleep with a sleeping pad and your bag inside—even with some of the newer thicker 3” plus pads and lofty bags. 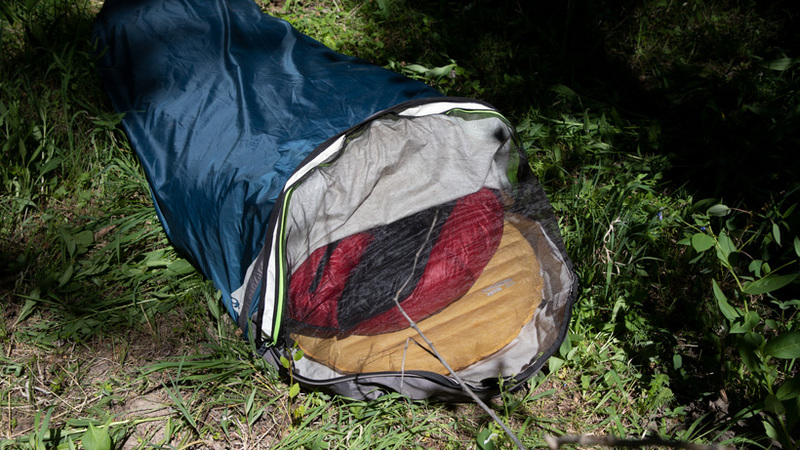 Also, both of the models we sell have a single pole that goes up over your face to give you some headroom when fully closed and both have a bug net with a zipper to keep the lip partially open and still keep bugs out. The Alpine is made from three-layer Gore-Tex respiration positive fabric. It has a 30D ripstop upper and 2L nylon plain weave taffeta floor. It is seam taped internally on every seam to keep moisture out. The Helium is made from Pertex Shield+ 2.5L 100% nylon with a 30D ripstop upper with 100% nylon 70D TPU laminate floor. It is seam taped internally on every seam to keep moisture out. Ripstop nylon is a light-weight nylon fabric with interwoven ripstop reinforcement threads in a crosshatch pattern for added strength and to stop a tear once it starts. Pertex is lighter and, by most accounts, less breathable while Gore-Tex is a bit heavier and breathes very well. Pertex may not wear as well over the long term, while Gore-Tex has a good track record with being both durable while retaining its waterproof integrity. Both have tabs that can be used for staking them out to the ground. 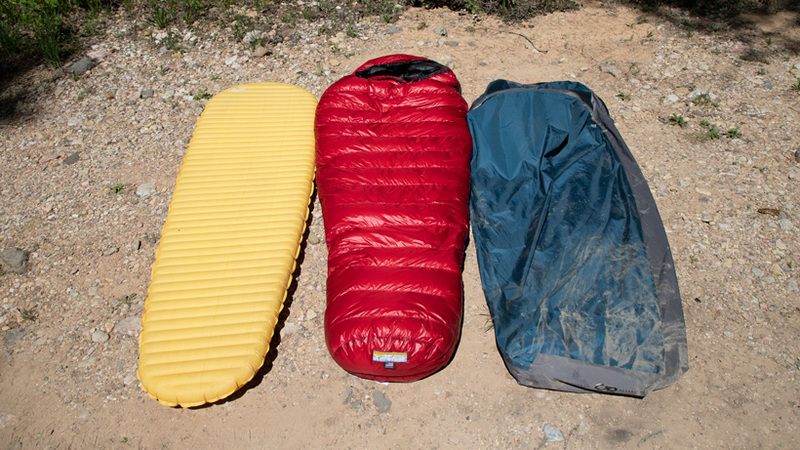 Both have internal straps to keep your sleeping pad from shifting or moving during the night. How small can they be packed up? Both the Alpine and the Helium can be packed up into a stuff sack approximately the diameter of a Nalgene bottle and about twice as long. 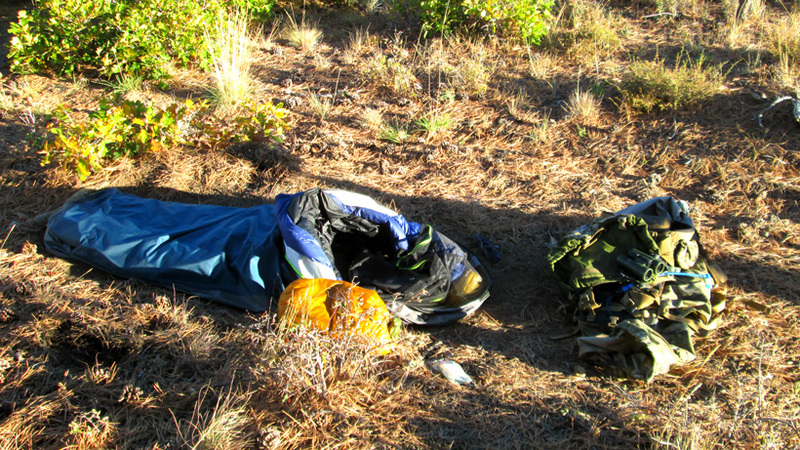 When I am hunting with a bivy sack setup, I often either use no stuff sack at all or I leave my sleeping bag in the bivy and stuff both in a 13L or 15L compression or dry sack. This allows me to inflate my sleeping pad, insert it inside the bivy with my bag and I’m done. When might I use one over another? I would suggest the Alpine bivy sack if you are using it as a standalone without a tarp or floorless shelter. It's more durable and is going to breathe better. I would also likely use the Alpine if I were hunting in conditions where heavy condensation may be an issue—places with wide temperature swings or extended rain expected, which might cause you to keep the lip closed; your breath can build up condensation, or camping in humid climates, lowlands or next to water sources. The Helium is a great choice to save some weight and perhaps better suited for shorter trips—three to six days—where the weather may be more predictable. I would advise using in conjunction with a tarp, especially with heavy or extended rain in the forecast. 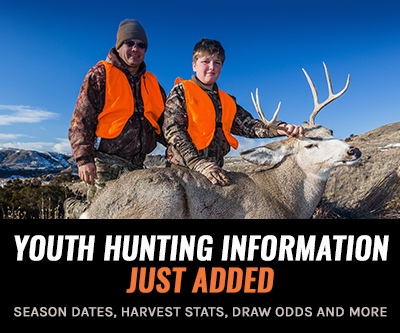 It's extremely light and fast though and, if you are hunting more arid conditions and only experiencing light rain or showers, you'd do just fine with the Helium. 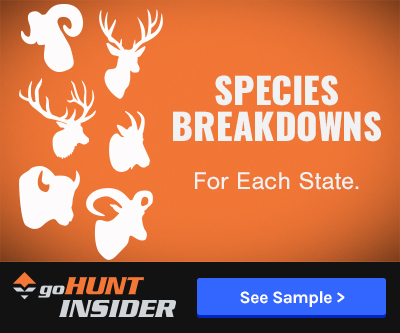 Bivy hunting has made me a more successful elk hunter and here’s why: I’ve noticed that tent camping tends to tie me to an area and I end up wasting time hiking when I need to be hunting. Elk are big, they cover ground quickly, and often are only active for a short period of time during the morning and evening. 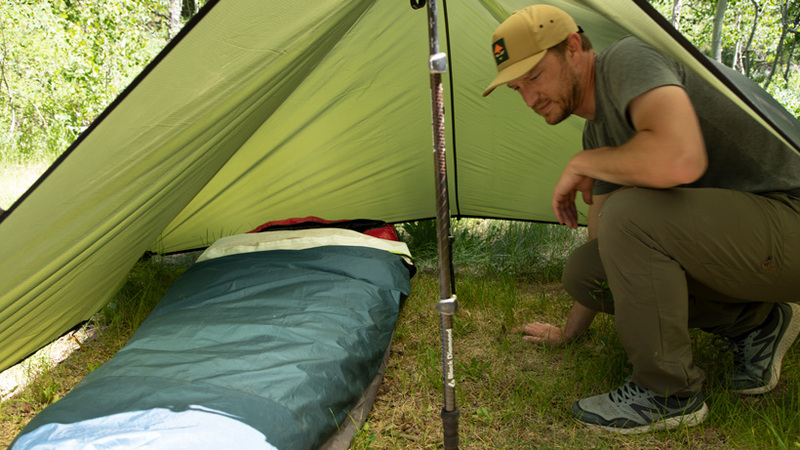 A bivy allows you to quickly make camp, get in bed and wake up already in the mix. If you are looking for a lightweight, simple, one man shelter that will keep you dry and help you be more successful, consider adding a bivy sack to your gear list. Glad you found some value in it. I'm convinced that bivouac hunting has helped me find more success. It may not make sense for every hunt type/season, but for run and gun elk hunting I think it makes alot of sense. Good luck this fall! Thanks for putting these together. I have been stuck in a wormhole figuring out my camp/bivy setup and this article convinced me that bivy is the way to go. Can't wait to get out there! 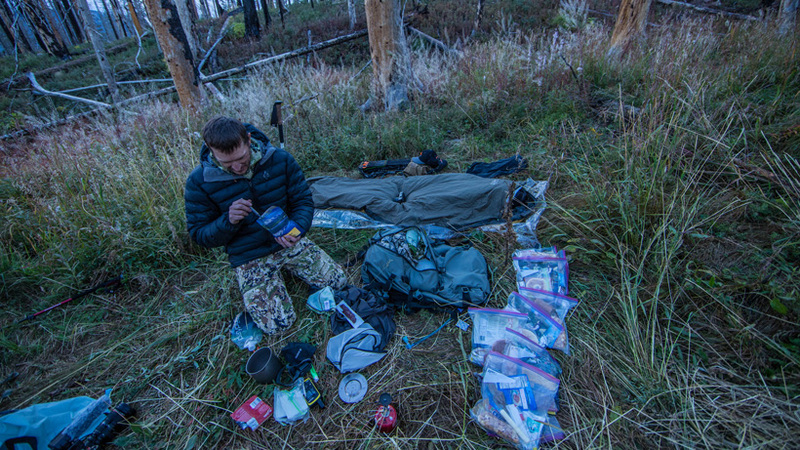 Chris W. - If i really want to go light weight, I would just skip the tent or bivy altogether and just live out of my Sitka Gear GorTex. More than enough if stuck on a mountain while chasing down a trophy. I consider it survival gear that I can use as daily wear on the mountain... I always cary a small tarp that can be made into a leanto style shelter with my hiking poles for long scoping sessions in the rain or snow. Otherwise we use the tarp to cleanly process meat. The tent is a luxury. I have talked with EE as well and it sounds as is they may be working to a point in the future where their production would allow some retail sales. I appreciate you putting our name out there, hopefully in the future we can work something out! We do carry the Western Mountaineering quilts and if someone is looking for a quilt in that 25 to 40 degree range, those are awesome options that we have in stock ready to ship! I have been using the Enlightened Equipment Revelation for a couple years now. It is had been great for early and late seasons and everything in between. If its really hot I just use it as a quilt and if its cold I wear extra clothes and use it as a sleeping bag. I bought it extra tall and wider then I needed which is nice for when its cold. I really like how light weight it is compared to everything else out there. It does take a long time to get. Several months for me, but you can get it made any way you want which is really nice. 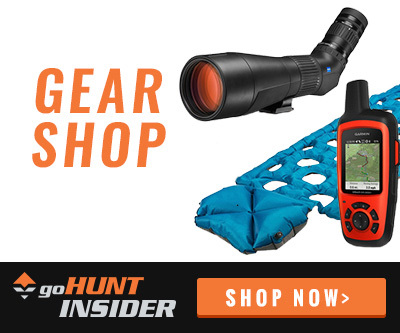 I talked to the guys at enlightened equipment, he said if you reach out to them (gohunt) they could do a promo coupon for members. worth a try. they aren't doing retail at this time. your right, 20 oz its just tarp and bivey. no pad. total 3.9 lbs for a waterproof, 20deg, truly mobile setup. my plan is bag and pad all stay inside the bivey which is waterproof. tarp is for if its raining or snowing when I pitch. if not its cowboy camp. the above replaces my synthetic bag (3.5lbs) and BA slater ul2 (4lbs) and I hope all fits in to one stuff sack the size of just the synthetic bag... we shall see...durability as well. for space and weight it was the best I could concoct. I suffered with a 60lb pack last year. 40 lb is this years goal. That is indeed a very lightweight setup. Just to clarify..the bivy looks to be about 10oz and the pad would be about 12oz. With a sleeping pad and tarp you'd have to be closer to 40oz than 20oz though right? I have a Enlightened Equipment Enigma and used it most of last year and I really liked it. We are trying to get Enlightened to offer us some bags/quilts to sell in the store so if you have any pull, put some pressure on them ;) MLD makes good stuff too, let us know how you like that setup and all the best this fall! HMG or MLD 8'x10' cuben tarp. @Trail K. - Yes you definitely need an underquit for any hammock camping, otherwise your setting your self up for failure. Mine is the Phoenix 20 degree and weighs one pound, but it acts as the replacement in hammock camping to the air mattress in ground camping i.e no need for your neo air xlight. I would definitely give it a try and get off the ground, you can already use your and current sleeping bag, just would need to pick up a hammock with a suspension system (I suggest Dutchgear for both) and under quit. I am just trying to find the ultimate weight advantage option with all my gear as planning a backcountry (10-day) trip to Montana this year with my son. Just trying to determine if you found something that I missed. For ultimate light weight, I will just find a tree to lean against and stay in my Gore-tex hunting gear. I think the KUIU tents are nice options, once again I think the advantage of a bivy is that it's so simple and quick to use and the versatility it offers. The OR helium with Rab SilTarp II is 1lb 14oz, if I went with the Alpine I'm into it 2lb 13 oz. With the tarp I have tons of room, last year I split it with another guy and we both slept in it with our gear no problem. 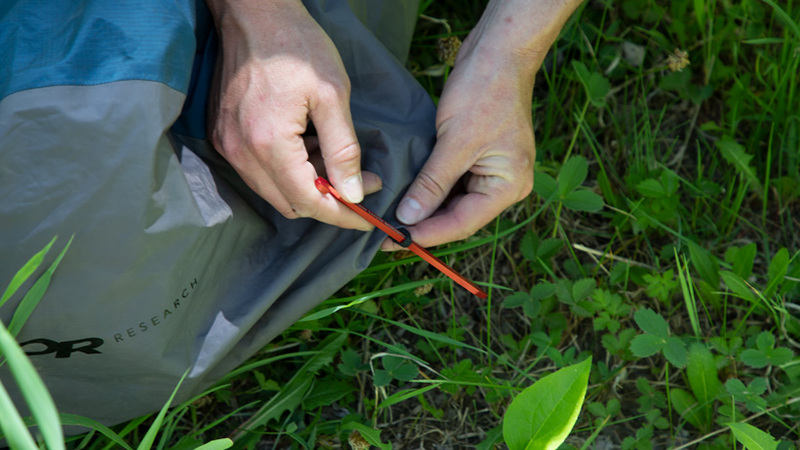 Both of the bivy's are tried and true materials, either Pertex or Goretex. I have tried KUIU tents in the past and I'm always looking and researching gear, and for me I still think the bivy/tarp combo is better for my style of hunting. Nice, sounds like an interesting option. I have steered away from hammock's due to the fact that I've heard they sleep cold with the airflow beneath you. An under-quilt should deal with that, but then you are packing more weight right? Perhaps I'll give a hammock system another look...thanks for the feedback and food for thought, all the best this fall! I personally have moved on to hammock camping from all forms of ground camping, light, mobile and so comfortable. I recently got the Sierra Madre Research Stratos set up and tested it quite a bit this summer here in the CO mountains and it will be coming with me in the fall and my bivy and tent are staying at home. The gear storage sling in the bottom holds my pack really nicely and keeps off the ground. I have that paired with the Dutch Gear Beetle Buckle suspension, Hammock Gear under quit and top quilt and man is that a cozy and easy set up. Im set up in well under 10 minutes and I dont even need 6x2 flat patch, as long as there are two trees on the edge of a cliff side you're good. My wife came with me on a few trips and we both fit in under the Stratos so also it works well for two people if you are in a pair. Once you go to the air you never go back! What are your thoughts about the bivy sack versus a light weight tent like the Kuiu 1p or 2p. It appears that I can be lighter as a single hunter with the 1p and with two of us in the 2p we beat the bivy again and neither of these take in to consideration the additional weight of your tarp. Both of the Kuiu tents also provide a shelter for my gear in the vestibule. The bulk is proportional to the bivy sack also. Perhaps the OR products just need to be updated with newer materials and they will again be weight/bulk competitive. Nice, looks like a great set up! I'll be interested to hear how it goes for you. I'm convinced that being mobile and camping close to where the action picks up in the morning has helped me a ton. Good luck this fall! Nice article. I made some big changes to my sleep system for this fall and am excited to run with it. Had been using a Kelty Cosmic down sleeping bag with Kelty Salida 2P tent. Changing to a set-up that includes the Sea to Summit escapist tarp (large), Enlightened equipment recon bivy, and a Hammockgear camping quilt. Very excited to shave some weight but more importantly bulk from my back to get more mobile this September. I like that the tarp is multi-purpose and can be used as a quick shelter in bad weather or cook spot if two of us bivy under the other's tarp. The Tarp is a Rab Siltarp 2, which is 10'x13' and weighs in at about 13oz. A bivy is going to ensure my sleeping bag stays dry, which is a must. By itself, I don't feel like a tarp offers the coverage and piece of mind that I get from having my sleeping bag in a bivy. If I am planning an extended trip (5+ days) I regularly pack a bivy and a tarp/floorless shelter in case I get caught out in inclement weather for a long period of time. In most cases I only break the tarp out if need be. I can throw out a bivy almost anywhere and it just saves time. Paired with a tarp you have a good amount of room and you're going to stay dry. A bivy is also going to function as a ground cloth, with your sleeping pad inside it you don't have to worry as much about punctures or having issues with your pad. The Helium bivy paired with the tarp I use is going to be just shy of 2lbs with stakes and it gives me so much flexibility. Hope that helps, all the best! This is worth a look! There is something phycological about a the "safety" of a tent for me, I'm jealous of the guys who pull this off. I'd just be nervous of the what-if's...bears! Awesome! I have been kicking around going this route. What tarp and size tarp is that being used in the pics? Thanks, great article! Great stuff, Trail. How does this differ from just using a floorless shelter or tarp? I guess I can see the need if there are bugs and/critters (like early season). But why have the extra weight and gear if a tarp can keep the weather off just the same as a bivy? Or is that not how it works?